Compliance Recruitment Specialists is a Jersey based niche recruitment agency focused on placing talented individuals in roles within the areas of risk, compliance and audit. We have many years of experience in these roles and we fully understand their specialised nature. Founded by Colin Burgess, our aim is to remove the pain point of having to search through endless recruitment agency websites looking for that perfect role, by bringing all compliance vacancies and candidates together under one compliance focused agency. Compliance is a specialised role, and it is our view that it should be treated as such. By partnering with CRS you will be working with, and supported by, industry professionals who know and understand your exact requirements. 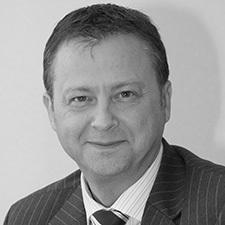 Colin has worked in the finance industry for over 25 years. For the last 15 years he has specialised in risk and compliance, during which time he has held both key and principal person roles. For the last 5 years Colin was a Director at a bank owned trust company with direct responsibility for risk and compliance.